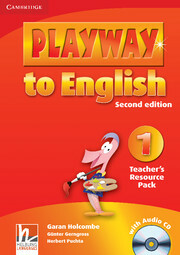 This fun course for young learners aged 7-10 years provides a motivating and enjoyable way to learn English. There are four levels plus an optional Starter Level. Join In features lots of delightful characters - children will love joining in the songs and action stories with Toby the Tiger! The course is based on the theory of Multiple Intelligences, meaning it contains a variety of activities to meet the needs of children with differing learning styles. Optional extras, such as videos, flashcards, holiday packs and CD-ROMs, provide additional practice. * Enjoyable activities and fun characters motivate children to learn. * An optional CD-ROM full of games and activities. Includes a 'Help!' option in ten different languages! * Free photocopiable tests for each level.